Omegle logs not working on your device? There can be several reasons of this. We are going to tell you how to fix this errors and provide solutions for you. There are also problems which you can’t fix and which are not related about your device and yourself. I am also going to mention about those too. Clean caches and cookies of your browser. Try make a speed test on a website. It will show you the results for your speed. If you think that your speed is low, so you will need to make a call to your internet service provider. Tell them about your internet speed and ask them to fix the problem. When you are sure that they have fixed this problem, go to Omegle and see if Omegle logs not working yet. If your internet service provider is blocking the service, you will need to use a VPN service. We recommend Ultrasurf for this. Clean cookies and history of your browser. Download Ultrasurf from the official website. Wait until Ultrasurf connects to the server. Talk with a stranger and see if Omegle logs not working yet. You can get tips on this page about usage of Ultrasurf on Omegle. Can’t Generate Logs on Omegle: How to Fix? Some antivirus programs are blocking our access to some websites and some tools. Especially we are facing those problems on video chat applications of websites. Sometimes those firewalls can block some urls too. This can also be Omegle Logs website. We recommend you to check antivirus firewalls for this. Omegle logs not working yet? You can ask us through commenting this page, our support forums or our support request page. 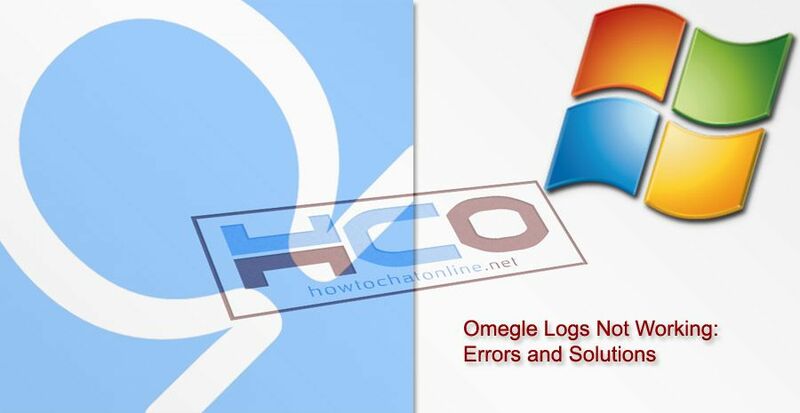 ← Can’t Generate Logs on Omegle: How to Fix?